I invested in CureTogether in 2009. 23andMe acquired the company in 2012. Genotypes is simply reading DNA. The cheapest and most widely adopted is SNP testing is from 23andMe, but there at least three other types. Phenotypes is the expression of DNA given an environment – the traits of a person: blue eyes, body fat, cholesterol levels, response to drugs, and so forth. Your phenotypes are effectively what you turn into. It’s the result of your DNA combined with food intake, living conditions, and lifestyle. Mixing phenotypes with genotypes results in a brilliant combination. From a value point of view, this is a M * N relationship, not a M + N relationship. The combined dataset is bigger than its parts. CureTogether used the power of crowd sourcing to address chronic health conditions. As you can imagine, people who have migraines, back pain, or arthritis are highly motivated to find a solution. This is where CureTogether came in. By crowd sourcing the experience and knowledge of the many people, CureTogether could report to its members what did and did not work for a number of problems. CureTogether covered about 500 conditions with about 30,000 users. It’s literally health wisdom from the public at large – Crowd Sourced Healthcare. 1. Their user base was highly motivated and shared knowledge freely. 2. The user base would grow exponentially as would its value. 3. It had the potential to make a real difference in the lives of people. Above all else, CureTogether is a collection of phenotypes from a group of highly motivated people. 23andMe is the worlds largest consumer genetics company. Based in silicon valley they are financed by Google and won the 2008 Time Magazine Company of the Year. 23andMe provides a service to analyze the DNA of consumers using a technology called SNP testing. A SNP is a single letter change in DNA. It’s only 10 million SNPs that differentiate 7 billion people. Some SNPS can tell you your eye colour, blood type or ear wax class. Others can indicate how effective a medicine or drug will be – do you need more or less? Yet others can tell you your risk to some cancers, heart disease and stroke. 23andMe reports on over 200 conditions. 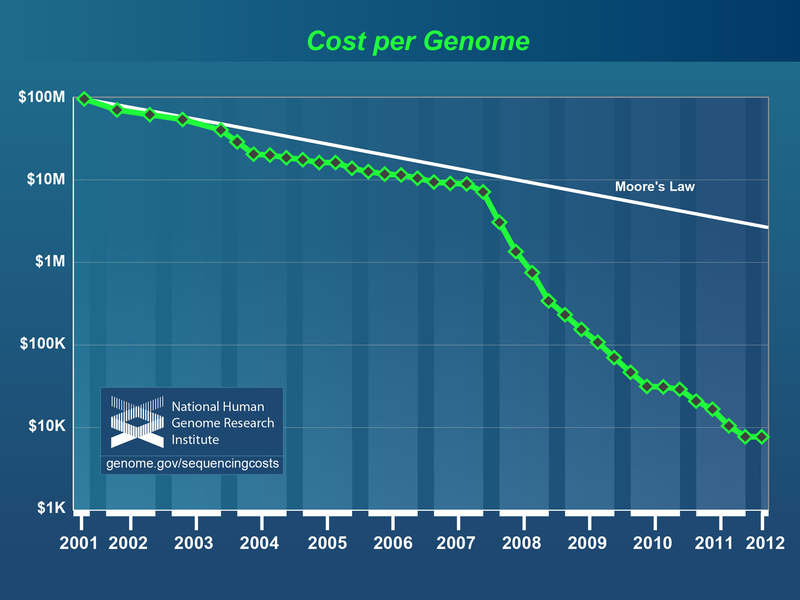 The key with with genetic testing is that it is the single fastest growing technology in the world. Easily beating Moore’s Law. The immediate consequence is a huge database of DNA from everything, including consumers. In December 2013 23andMe raised over $50 Million. Their target is 1 Million users – which I expect to be the tipping point. 23andMe reduced the cost of their DNA test from $400 to a shockingly low $100. The cost per result has dropped 20 fold or 95% in only 5 years. That means each result costs less than 50 cents. More so you get new results for free as they are released. I highly recommend 23andMe in Get SNPd! In 2012 their two biggest competitors were acquired: Navigenics and DecodeMe. If you combine the two, the sum is bigger than the parts. It was the logical merger. 23andMe needed to know how DNA expressed itself in the world. CureTogether needs to know the DNA that gave rise to many conditions. 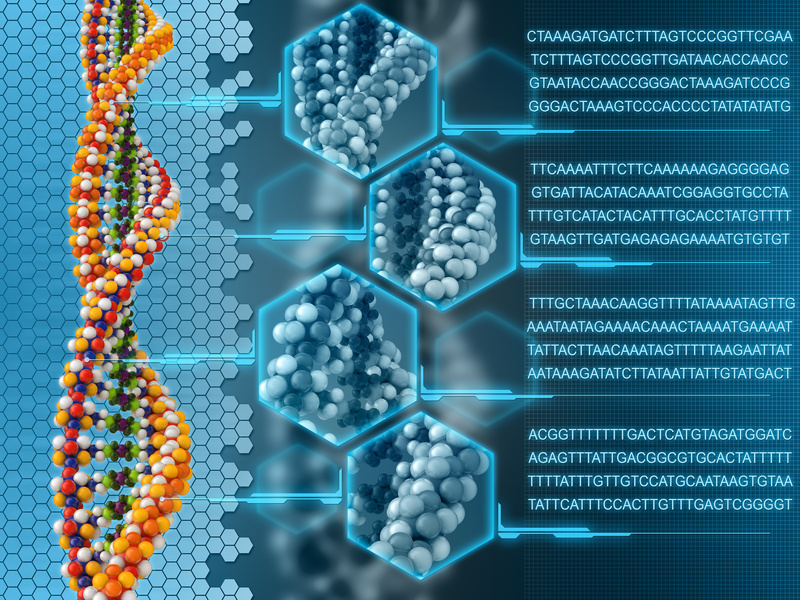 By Thinking Exponentially, two intersecting geometric trends made this deal work: Crowd Sourcing and Genetic Sequencing. I have been involved in many deals over the years, but there are few companies that I would be as proud to own shares in as 23andMe. It is one of the few companies which I feel will make a huge impact of the lives of millions.